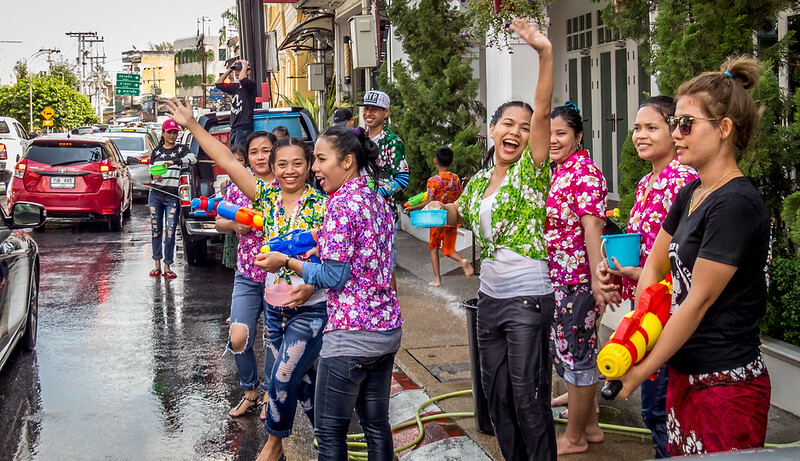 It could be fun, if a huge number of the people in one country would suddenly go outside and start having a huge water fight with each other? 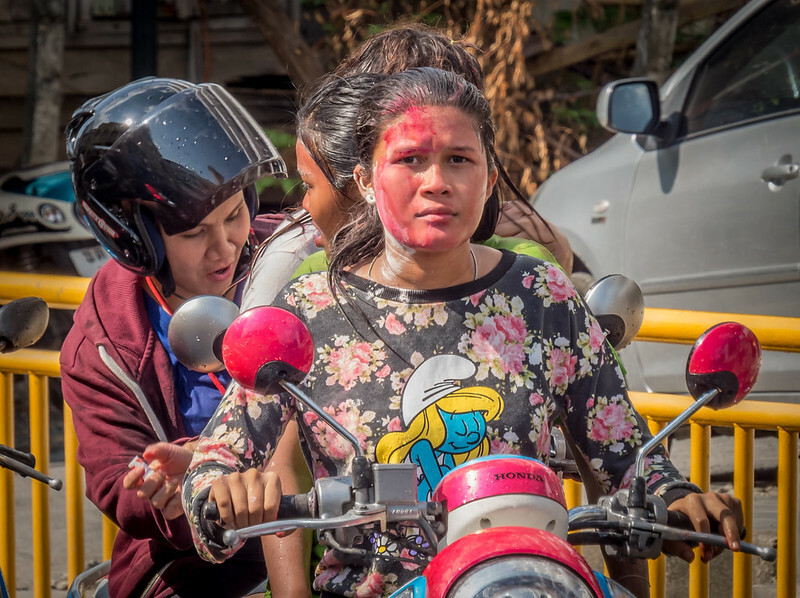 Songkran is exactly that. 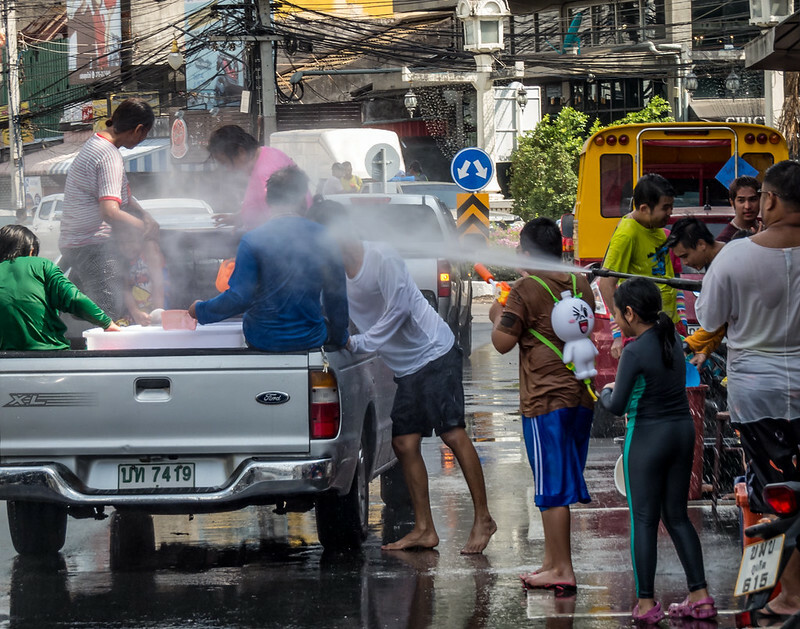 The streets of each city of Thailand are filled with people who participate the annual water festival. The timing is good. 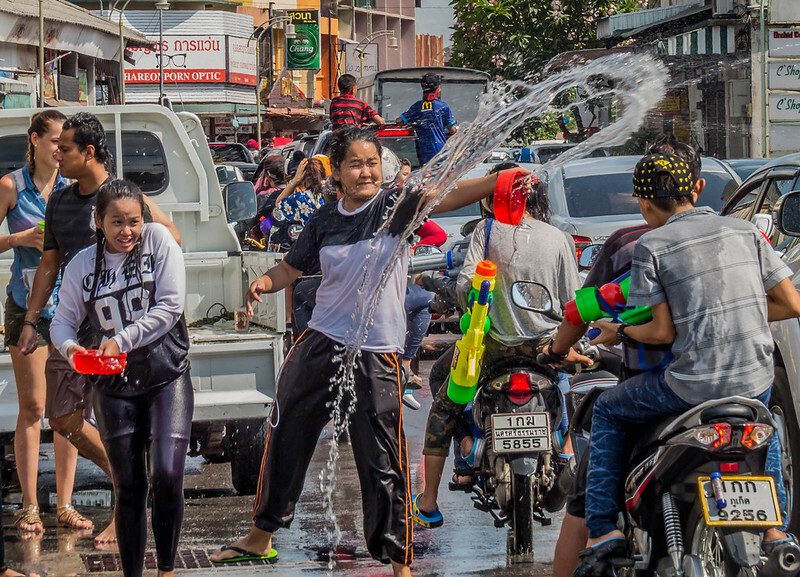 Songkran happens in April, which is the hottest month in Thailand. 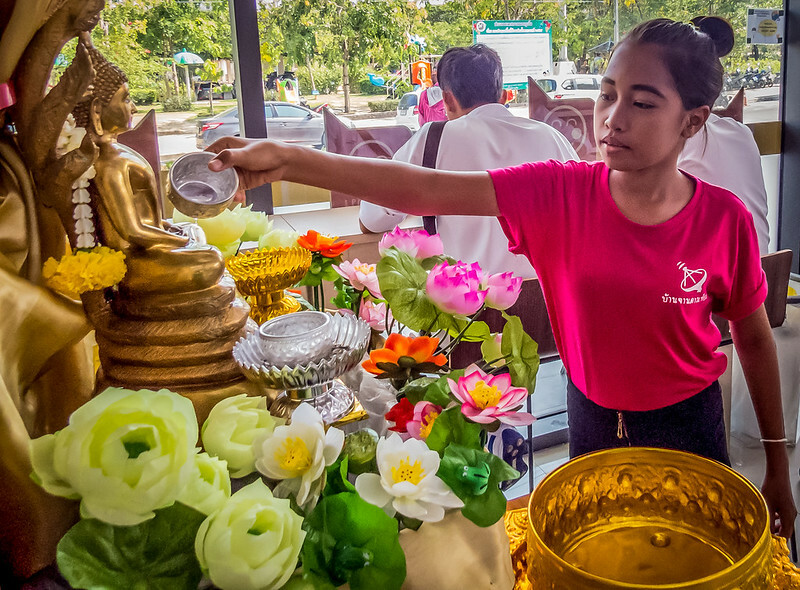 Temperatures can get up to 40C, which is honestly too hot for most of the people. A splash of water is refreshing. 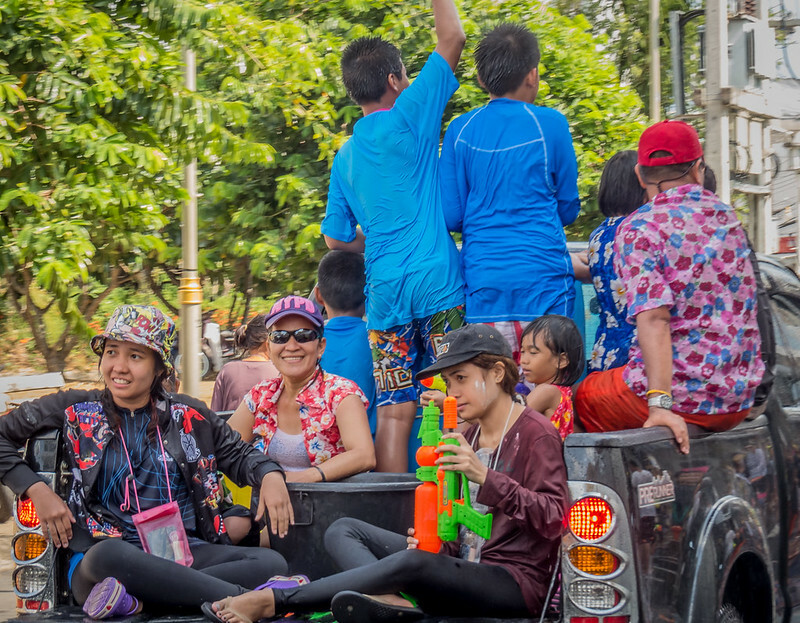 Songkran is also Thai new year. 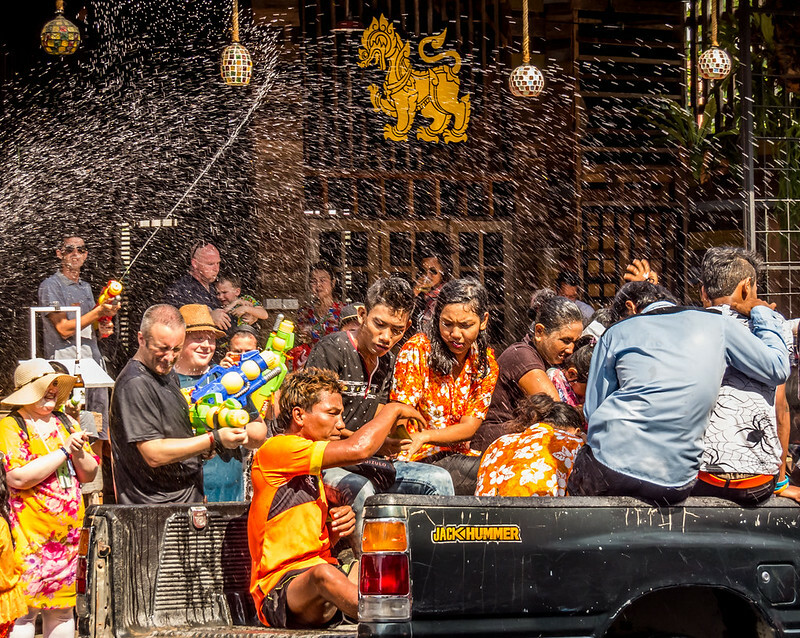 It's common to hear 'sawadii pii mai', which is 'happy new year' during the water festival. Pressure washer, when super soaker is just not enough! 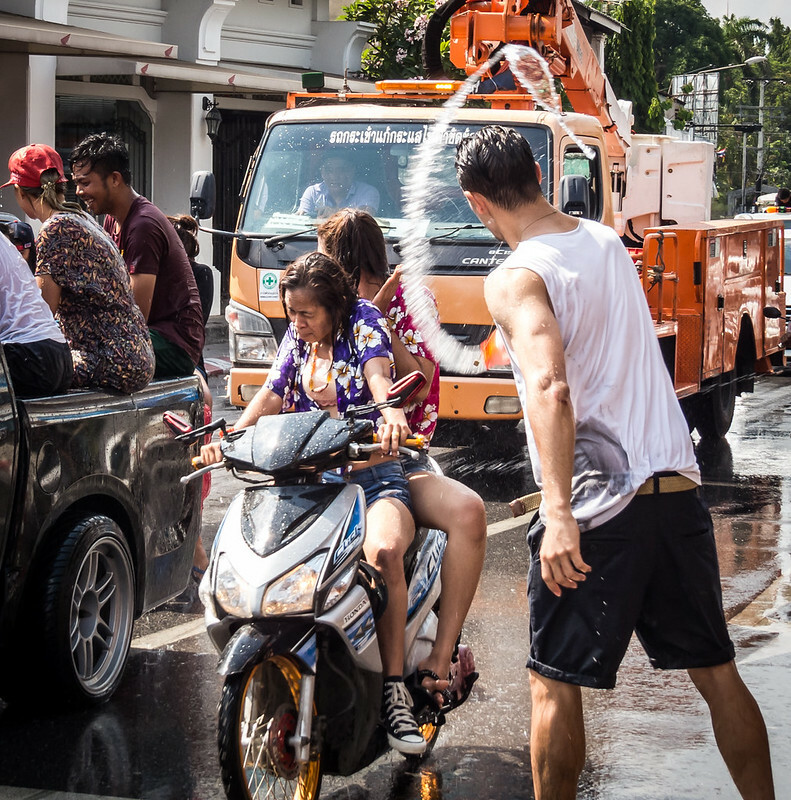 Unfortunately there are always some people who don't understand how to behave during the Songkran festival. 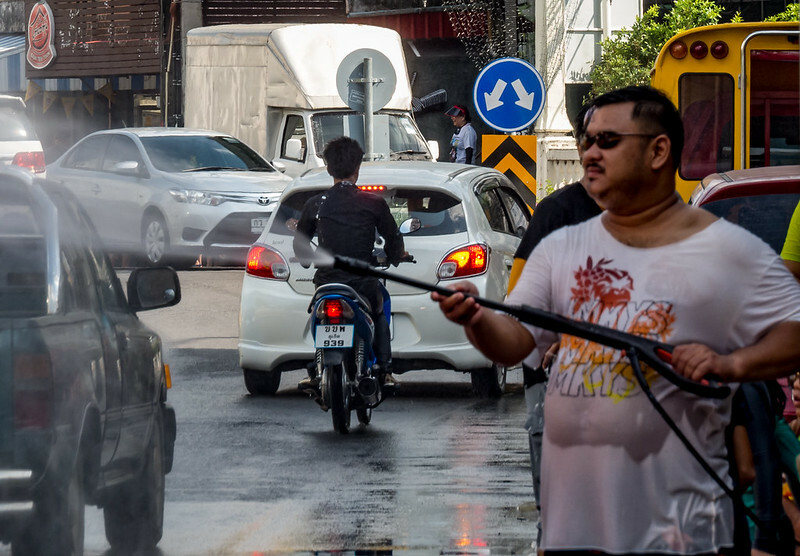 This farang (foreigner) tried to throw water to the scooterists as hard as he could. The people were afraid of him. It's OK to have fun, but it is NOT Ok to behave in this manner!